Regular Soda vs Diet Soda - Which is Worse for Your Health? Both regular and diet cola share phosphoric acid, sulfite-ammonia caramel color 150d and caffeine as ingredients. Given this, there is no reduction in the potential damage done to your digestive processes by these chemicals to be had in switching for regular soda to diet soda. Both have been shown to be very acidic in testing with regular cola having a pH of around 2.5 and diet cola usually testing at a slightly better 3.2 pH. The main difference, if you were to switch from regular soda to diet soda, would be swapping out the very high amounts of high fructose corn syrup (HFCS) or sugar for the artificial sweetener aspartame. Just how much sugar or high fructose corn syrup do manufacturers pack into soda? Quite a bit! A can of regular cola has a whopping 39 grams of sugar (or in the USA, the cheaper but potentially even more health damaging high fructose corn syrup). That’s around 10 teaspoons. But does anyone drink just a small can of soda anymore? The 20 ounce bottles are probably even more popular and they contain 65 grams. That’s nearly 17 teaspoons of fattening and intestinal bacteria feeding sugar. Imagine if you asked someone how many sugars they wanted in their tea or coffee and they asked for 17 teaspoons of sugar. You’d think they were mad! But this is what a lot of people are having with their lunch and dinner many days of the week. Excessive sugar can inhibit the proper secretion of gastric juices in the stomach, hampering the digestion process early on. This is particularly a problem when taken with a meal containing large amounts of protein. Drinking excessive liquid with a meal is bad enough for digestive problems, but the massive amounts of sugar in soda make it much worse. ‘Washing down’ your food with a sugar/HFCS saturated cola is very likely to interfere with proper digestion, particularly in meals with protein. This leads to it eventually being dumped into the small intestine, only half broken down at best, where its nutrients cannot be properly absorbed. After much effort by the small intestine, pushing through this only partially digested mass, it reaches the large intestine for bacterial decomposition. Now putrefying in the heat of your colon, the undigested protein is acted upon by the bacteria that create gases like hydrogen sulfide, mercaptans, indole and skatole. These are the gases responsible for those really smelly farts. Would you really still like a large soda with that burger? 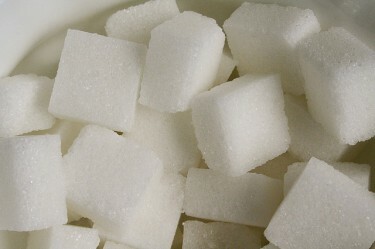 So what happens to the refined sugar itself? Sugar (and to an even larger extent the rapidly absorbed high fructose corn syrup) is empty caloric energy that hits the bloodstream far too fast for your body to handle. It produces extra insulin to deal with the threat. You only need about 1 teaspoon worth of glucose floating around in your 5 liters or so of blood at any one time to power normal activities. Add a great deal more than that, say 17 teaspoons that hits your bloodstream at super speed, and things start going wrong all over your body. Insulin is the hormone that tells your cells to absorb up the excess sugar out of your bloodstream. Some can be used as energy, but in the massive amounts we’re talking about here, unless you’re about to run a marathon, a percentage of the rest is converted to triglycerides to be stored in your body tissue as fat. That drinking soda full of sugar makes you fat is well know, but other serious conditions like depression are now being linked to excessive soda consumption. Looking specifically at the digestive problems associated with ingesting the unprecedented amounts of sugar many Americans are now consuming, the pancreas is often overlooked. That is, until it gives up and results in diabetes, a disease that has skyrocketed in recent years, alongside our increased intake of refined sugar and high fructose corn syrup from sodas. But you don’t need to be officially diabetic to be giving your poor pancreas problems with how much sugar is in soda. An overworked pancreas, constantly pumping out more and more insulin, may not be able to secrete enough enzymes to digest foods properly. This is particularly important with protein foods because the more undigested protein in our large intestine, the more chance of bad smelling flatulence. So not only does the excessive sugar or HFCS in cola diminish the hydrochloric acid in our stomachs at the start of the digestive process. It can also damages enzyme production, so vital for proper digestion, by exhausting your pancreas with constant demands for more fat storing insulin. Aside from the body fat storage, weight gain and potential for disease, the end result of all of this is more intestinal gas, more digestive problems and more flatulence. Just how happy is that ‘happy meal’ really making your body? With how much damaging sugar is in soda isn’t it time to consider an alternative? What if you could replace it with something with a similar taste that’s actually healthy? This page on A Simple Way to Replace Soda with Something Special is the start of a plan on how to do just that. Diet Soda Instead of Regular Soda? Many people, realizing just how incredibly unhealthy the high fructose corn syrup in soda is, made the switch to diet soda sweetened with the chemical aspartame. On first look, for a regular soda drinker, it seems a no-brainer. There would have to be huge weight loss and health benefits in ditching the massive amounts of sugar or the even worse HFCS in most sodas. But let’s have a closer look at aspartame. Right at the start, I’m aware some people are very protective of their precious aspartame and are almost online cheerleaders for the chemical. I find this reaction a little unusual. This page is not meant to present detailed research on aspartame. There is a very scientific look at aspartame on this site if you’re interested, including the whole twisted tale as to how aspartame was actually approved for use against the independent advice supplied to the Food and Drug Agency. For now I’ll just say that aspartame is without a doubt the most controversial chemical food additive, at least in the history of the FDA, with a long, long list of reported side effects from people using it. The aspartame found in diet soda is synthesized from two amino acids, phenylalanine and aspartic acid and the toxic alcohol methanol. Methanol we’ll come to, but the amino acids should certainly be fine shouldn’t they? After all, amino acids are just the building blocks of protein like fish and eggs. Maybe, but for certain people maybe not. Eating protein foods is exactly how we are supposed to get our amino acids. The phenylalanine and aspartic acid in aspartame are what’s called free-form amino acids and they require none of the usual digestive breakdown before they hit the bloodstream. They are also absorbed without any of the many other balancing and complementary amino acids usually resulting from digesting protein foods. Phenylalanine is an essential amino acid found in many foods that helps regulate brain function and mood. Importantly though, it is used by the body in very small amounts and enters the brain slowly as and when it’s needed. What happens when free-form phenylalanine is ingested and quickly hits your bloodstream, then potentially crosses the blood brain barrier without the other competing amino acids found in normal protein food? With the amount in a small can of diet soda, for most people, probably not much. But who drinks just a small can of soda anymore? With larger amounts some people may be risking problems. It make senses to err on the side of caution with any substance that that has a direct effect on the brain like phenylalanine. Some people are just naturally more sensitive than others to these kind of compounds. Free-form phenylalanine has been linked to headaches, hypertension, anxiety and behavioral problems in children. This is thought to be caused by too much phenylalanine reducing serotonin in the brain. If you’re interested in the science behind this have a (not so quick) read of this article on free-form phenylalanine and its effect on the brain. Aspartic acid is the other free-form amino acid found in the aspartame in your bottle of diet soda. At high levels, aspartic acid is classed as an excitotoxin that can overstimulate nerve function in the brain, even to the point of cellular death. Like free-form phenylalanine, free-form aspartic acid enters the bloodstream very fast (some estimates say within minutes). It also has no problem crossing the blood brain barrier where it has an excitatory effect on the brain’s neurotransmitters. Usually this effect is moderated by other amino acids and by its slow release over 10 hours in normal protein digestion. When you drink many bottles or cans of diet soda a day, and add to that some of the ever-increasing array of other artificially sweetened drinks and food, just how much free-form aspartic acid are you sending into your brain? What’s the longer-term results of all of this excitatory free-form aspartic acid entering over stimulating your brain cell’s neurotransmitters this often? As someone who has had a very bad reaction to it in the past and now avoids aspartame like poison, I’m not volunteering to find out. Excessive free-form aspartic acid may be even more damaging for babies in the womb and young children whose blood brain barrier is less developed. For this reason it would seem to make sense for mothers to be especially aware of sources of free-form aspartic acid like aspartame. This isn’t on soda labels, but then again neither is the third ingredient in aspartame. Methanol, also known as methyl alcohol or wood alcohol, is the third ingredient in aspartame and perhaps the biggest concern when comparing diet soda with regular soda. While only 10% of aspartame, methanol is quickly released and absorbed in the stomach and converts in the body to the poison formaldehyde. Formaldehyde then converts to the neurotoxin formic acid, before usually being metabolized out. Both formaldehyde (which is used in embalming fluid and is a class A poison right up there with arsenic and cyanide) and formic acid (the substance that gives antvenom its sting) are highly toxic compounds. While they may be in small amounts, why would you deliberately put them in your body in any amount? If you need any further convincing that methanol is not the type of substance you want to be running around in your body, have a quick read of this very official methanol poisoning overview. Will the amount of formaldehyde and formic acid resulting from a can of diet soda have an obvious effect on most healthy people? Probably not. But then again, as mentioned before, who drinks just 1 small can of soda anymore and just how many of us are that healthy these days either? So Which is Worse, Regular Soda or Diet Soda? Back to the original question: Diet soda vs regular soda, which is worse for health and digestive problems? Interestingly, many people report gastrointestinal problems when they drink diet soda instead of regular soda. With the compounds in aspartame entering the bloodstream so quickly, it seems unlikely that it’s specifically to blame here. The rest of ingredients in diet soda are similar to regular soda. While these ingredients certainly don’t help digestive problems, it’s hard to overlook the massive amounts of intestinal bacteria fueling high fructose corn syrup or sugar in a regular soft drink. So for an answer, diet cola, despite having most of the same potentially damaging compounds like phosphoric acid, caffeine and sulfite-ammonia caramel color 150d, may be slightly better for less digestion issues than regular soda. That’s only if you’re still going to drink one or the other anyway. For overall health, the jury is still out. They both share some pretty bad chemicals and extreme acidity, but is the HFCS/sugar or the aspartame more of a villain? 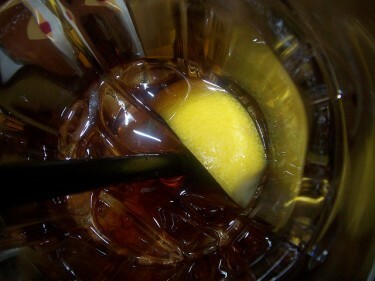 I’d appreciate hearing what you find worse for you personally – diet soda or regular soda? Hopefully no one read this post as an endorsement to go out and drink diet cola or any other aspartame laden sodas. Just in case, the next few posts have plan to replace soda with much healthier alternatives while minimizing both caffeine and aspartame withdrawal symptoms. If you’ve been living with a soda addiction this could be one of the most important things you ever do for your longterm health and wellbeing.